This is a truly luxurious large holiday house set in 2 1/2 acres of glorious private gardens on the edge of Holy Loch in Argyll. 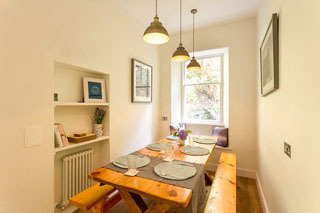 It has so many facilities and things to do that you have no need to stray far - it is one of the most comfortable and well-equipped holiday houses available in Scotland. There are open fires in the dining room and sitting room, and a wood-burner in the snug - lots of room to relax in and be cosy in front of a real fire. 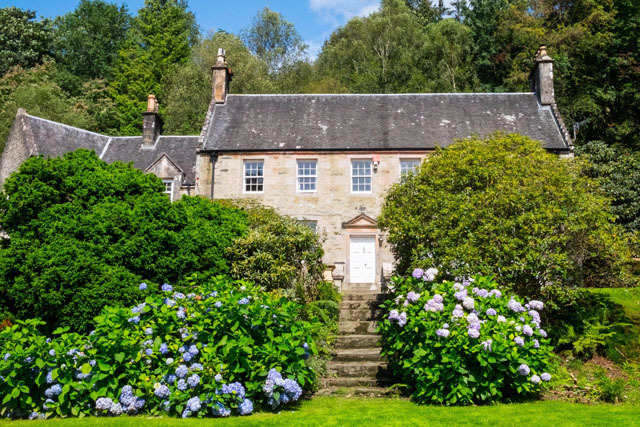 There is a large trampoline, a billiard room, golf clubs, bicycles, fishing rods and gorgeous gardens to relax in (there is even an anti-midge machine so you can sit out on summer's evenings - a rare and welcome boon in west coast holiday houses!). If you don't want to cook then there is also an excellent caterer that you can use - whether just for one meal or to cater for your whole stay - a huge bonus for a self-catering holiday. Old Kilmun House is situated in the Loch Lomond and Trossachs National Park and adjacent to the Argyll Forest Park. 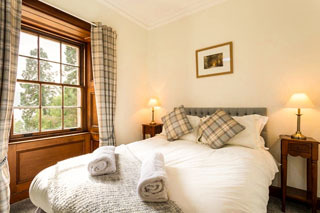 It is in a perfect location for exploring the delights of the west coast of Scotland and the Cowal Peninsula. Only 3 miles away is Benmore Botanic Gardens - amazing gardens planted by the Younger family (who used to own Old Kilmun House) and now part of the Royal Botanic Gardens in Edinburgh. There are fantastic trees (including the tallest in the UK) and an excellent tea shop. There is so much to see and do in the area - spectacular scenery, with the Kyles of Bute, Maccrahanish, Mull of Kintyre and Loch Fyne nearby. The walking is fantastic - there are lots of great walks from the house and plenty more in the local area. Cycling is an enjoyable way to take in the scenery and bikes are provided. Golf and fishing are also very good in the area - clubs and rods are provided too so you can have a go even if you are a novice! There are some excellent pubs nearby (some within walking distance) and the Loch Fyne Oyster Bar is just half an hour away - a gourmet experience. 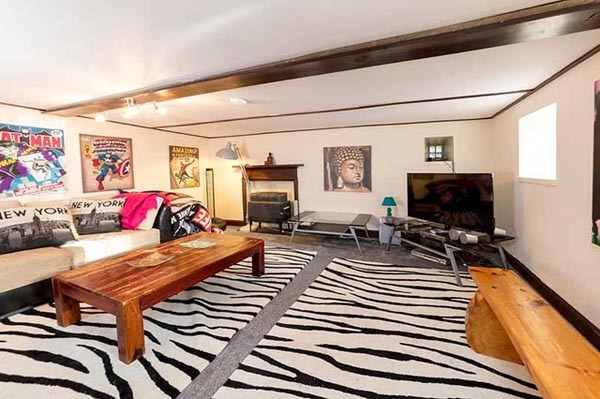 This is a fantastic large holiday house - great if you are a large party or 2 or 3 families wanting to rent a self-catering house in Scotland together. The sea is nearby - perfect for children - and there are so many luxury extras at the house everyone will have a fabulous holiday here (children can spend many happy hours bouncing on the trampoline!). If you use their caterer to provide food then even the normal cook will have a break too! This unique, large holiday house is set in picturesque private gardens and offers luxurious self-catering accommodation. 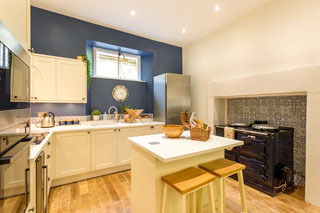 The kitchen has an Aga and every modern convenience (also there is a breakfast room). 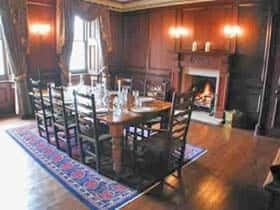 The sitting room has an open fire, as does the dining room which is wood-panelled with a table and chairs for 14. 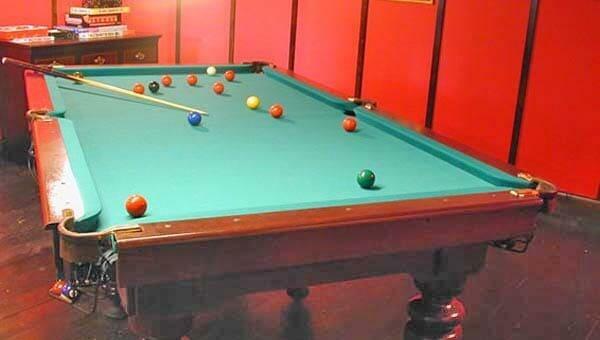 In addition there is a snug with a wide-screen TV/DVD and a wood burning stove, a games room and billiard room so there is plenty of room for families to spread out and have their own space. There is a new sauna and spa bath upstairs, another family bathroom and a separate loo (there is an additional shower room and WC downstairs). 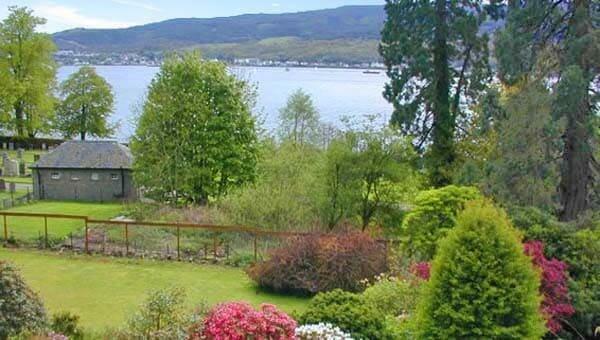 There are 5 double bedrooms with fabulous views - 4 over the loch and 1 to the woodlands. The first floor also has a children's twin bunk bedroom and on the second floor are 2 large triple rooms (or can be set up as twins). Take the M8 from Glasgow and the ferry from MacEnroes Point at Gourock - Old Kilmun House is just 70 mins from Glasgow Airport. Price includes all heating, electricity, towels, bed linen and an initial supply of logs. Old Kilmun House is rented out year round. To book this large luxury holiday house in Argyll click the enquiry button below and check availability and view prices. 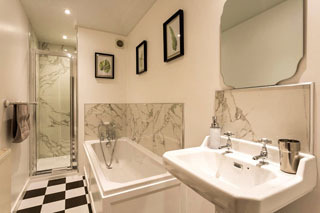 The owners have another lovely large holiday house (sleeps 30) half an hour away. 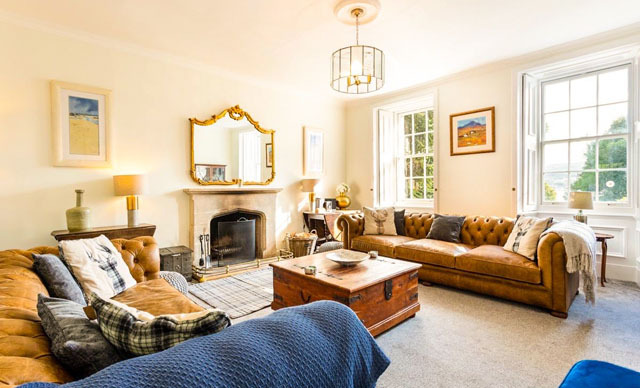 This is an amazing house for family celebration as there is so much to do with a games room inside and outside in the beautiful gardens that guests often don't leave the property! Short breaks are a speciality so it's perfect if you want a weekend holiday house in the Scottish countryside with beautiful views over Holy Loch.